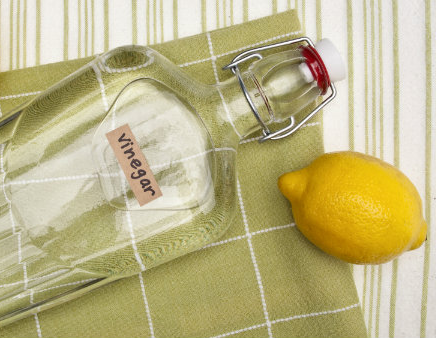 This week's tip is for cleaning the microwave using either vinegar or a lemon. This simple tip makes cleaning the microwave a breeze! 1. Fill a microwave-safe glass or bowl half full of water. Add a tablespoon of white vinegar. 2. Place inside the microwave. 3. Turn on for 5 minutes. You may need less time in a high-powered microwave oven; keep an eye on it the first time you try this. This will steam up the walls of the microwave and loosen the dried-on gunk. 4. Remove the glass container. 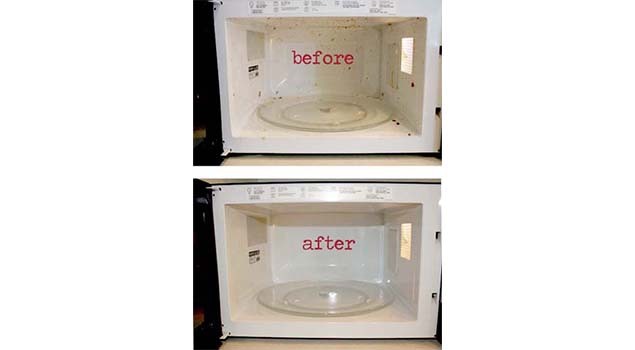 Wipe down the inside of the microwave with a clean rag or paper towel, all the stuck on dirt should wipe right off! 5. Take out the glass tray or turntable and wash it like a dish. You could even run it through the dishwasher if you have time. **CAUTION** BE CAREFUL WHEN TAKING THE BOWL OUT THE MICROWAVE AS THE LIQUID WILL BE VERY HOT. 1. Cut a lemon in half. Place both halves cut-side down on a microwaveable plate with a tablespoon of water. 2. Microwave for about 1 minute or until the lemon is hot and the inside of the microwave is steamy. 3. Wipe the inside of the microwave with kitchen paper and wash the plate. **BONUS**Now that the lemon is hot and squishy, it makes a great natural cleanser for a smelly garbage disposal. Cut the halves into smaller pieces and flush through with plenty of water. If you love this idea, don't forget to 'Comment' and 'Share' with your friends!